Pollution levels in many Asian countries are so high that they threaten food security and human health. Bangladesh, Pakistan, Thailand and Indonesia were identified as some of the world’s most polluted countries in a recent global ranking. 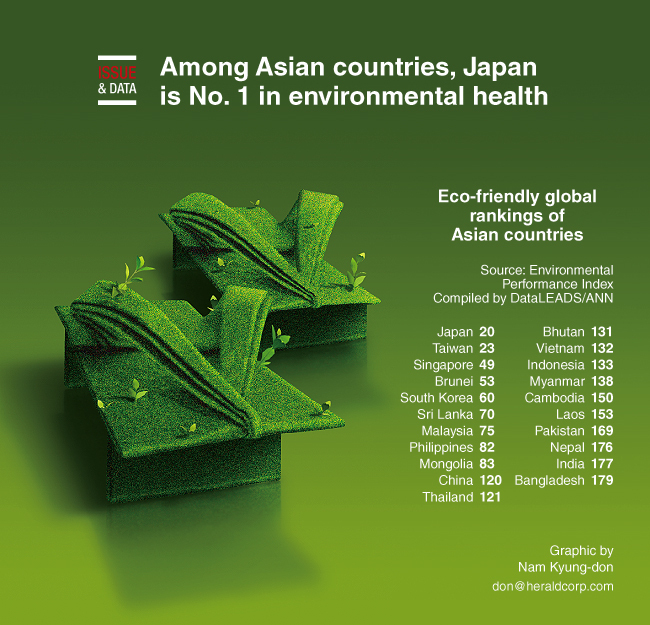 In contrast, Japan was the least polluted Asian country on the list. To assess the environmental health of the world’s countries, Yale University and Columbia University jointly developed the Environmental Performance Index in collaboration with the World Economic Forum. According to the 2018 Environmental Performance Index report, air quality is the leading environmental threat to public health. The researchers ranked 180 countries on 24 performance indicators across 10 categories related to environmental health and ecosystem vitality.